We upload short movie on YouTube! I’m happy when you see it. 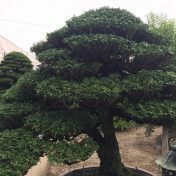 Thanks for subscribing to my channel “Bonsai IROHA“! 19th, February. Time to rain from snow. I have to upload on this site today. But, Its really hard. I knew that I am not good man. I keep working. But, I know its not enough. I did some practice about it. But, I know its not enough for happy life. Solar term Do you know it? China and some of few country use this calendar. 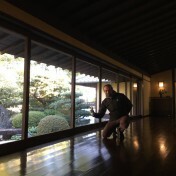 Also old Japan too. This is starting new year on today in solar term. I expressed determination to upload this site once the 5 days! Do you feel spring? 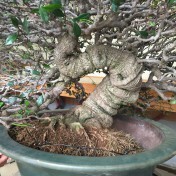 This is top of branch of Karin “Chinese quince” bonsai. Can you see new bud? I feel spring! but, Don’t let your guard down. Too cold in Japan. 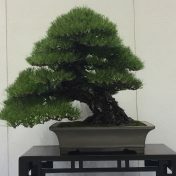 I worked bonsai show in Kyoto. I was just choreman up there. But, My partner Tomomi is member of Kyosai. She did advertising and guiding. I’m lucky man. You should keep removing sucker. 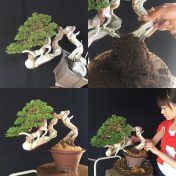 Other way hard to make bonsai. 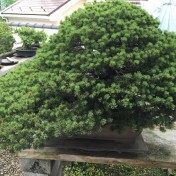 Japanese called “Yagome” or “Hikobae”. This is before CRAZY. 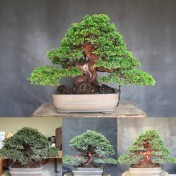 Shimpaku juniper. I rinse it. 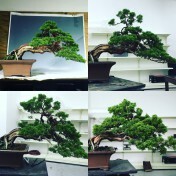 and set up branches by wire. Retouch! Finish No, 2!! Better?? 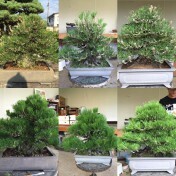 Also I gonna put yahoo japan auction these trees too. 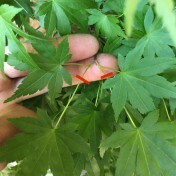 This is Japanese maple Kiyohime. These two Kiyohime too. 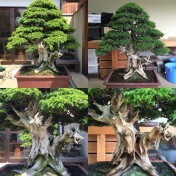 You can see some detail of CRAZY work if you are member of Bonsai Crazy Club. 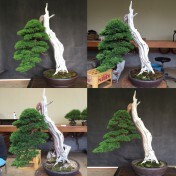 “I put a curse if this tree can not pass the Kokufu examination.” I am living busy days trying my best. Too busy!!! Its just makes an excuse to late upload. 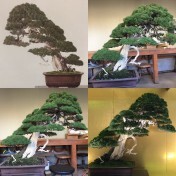 I belatedly posted “CRAZY WORKS”. Member of Club Bonsai Crazy can see more pictures when you click here. Owner Yamamoto goes, ” I trust you. 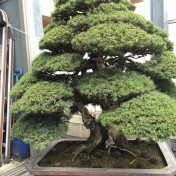 But, I will stand your bedside if this tree can not pass the Kokufu examination”. These have become amazing, encouraging words to me. 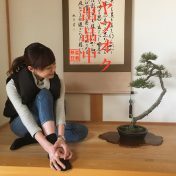 We are happy that tree was in Kokufu 2017. 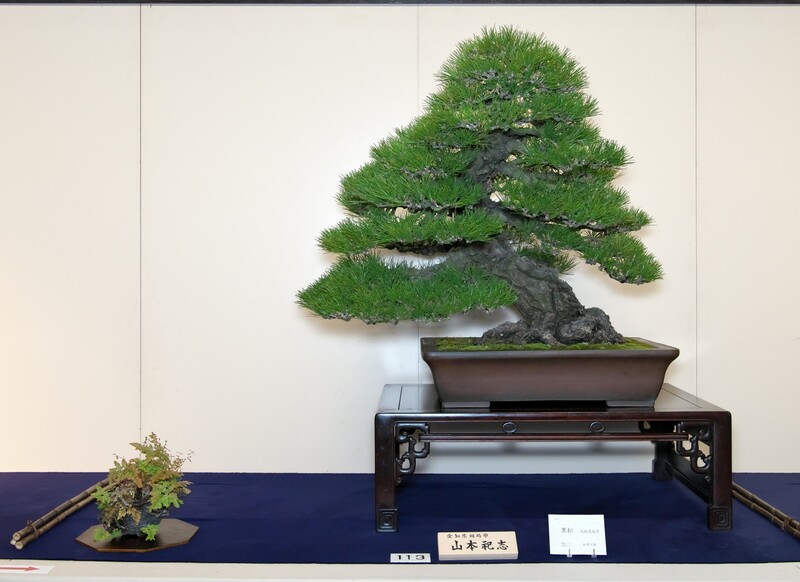 Also It will be in World Bonsai Convention in Saitama too. Happy New Year! Best wishes for a successful and rewarding year. I’m Daijuen apprentice morning to afternoon. 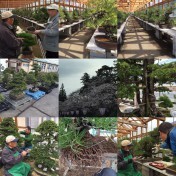 I go back to Kuwana to continue to practice bonsai business. CRAZY having summer holiday since 10th July to end of August. He wander from place to place to touch tree. 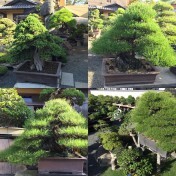 Some bonsai nursery and private collection. CRAZY got SUMMER holiday for a month. Sounds good, didn’t it? 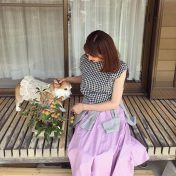 When CRAZY writ down on calendar at Daijuen workshop, Oyakata goes, “Better to writ down layoff☆（｀∀´）” So CRAZY got layoff. CRAZY had touched this shimpaku. CRAZY keep aspiring to see happy smile. 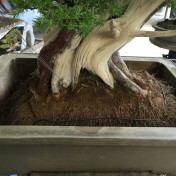 He had touched this tree before started repotting festival on March. 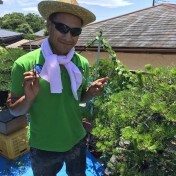 a month later since held on Mekiri festival. “Wiring” “Repotting” “Decandling” Normally we don’t work these three working in a year. 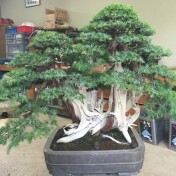 But, This tree CRAZY had touched to wiring on winter and repotting on spring. Also Oyakata agree to decandling☆ Its unusual. Crazy pic up worms when he saw it. But, Better to spray poison. Because, hard to see it and too many worms. 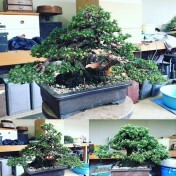 We started Mekiri:Decandle festival on big bonsai. 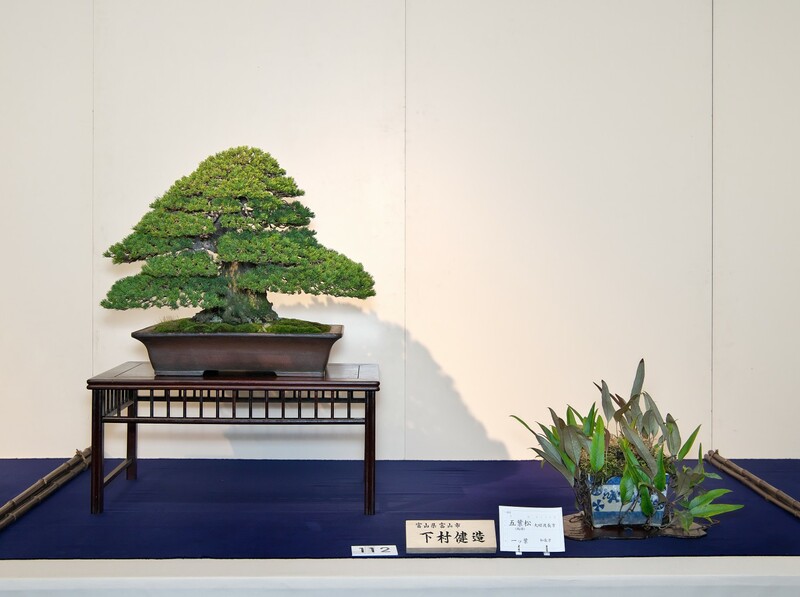 The smallest bonsai is the end of festival. So we feel “almost final”. CRAZY wants to show smooth fin branch structure. Thats why he wants to clean up every top of branch. CRAZY took rest of Mekiri:Decandle festival again. Mekiri:Decandle festival in session at Daijuen. But, customer took in to the workshop to wiring. 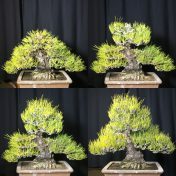 Crazy repotted this monster “Zuisho” JWP on spring. But, There were so many worm of scasrab having big lunch party in the pot. 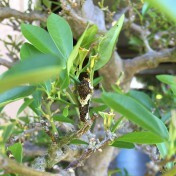 They eat root of Zuisho. 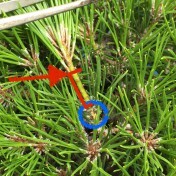 Can you see bottom of spring bud that doesn’t have new needle. That area never get back bud. Winter is good season of wiring on JBP. Also after decandling is good too. 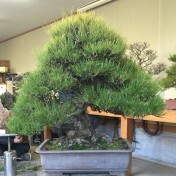 Crazy and Takuchan went to Moriyama collection to cleanup Shimpaku juniper. Also pinch off spring buds. to make room for good grow. Crazy wants to wiring this shimpaku. 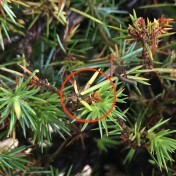 Crazy loved to remove old needles on the first trimming of Tosho:Juniperus rigida/needle juniper. I had started to pull the buds off on 3 days ago. 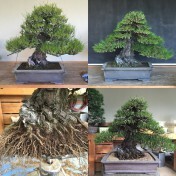 I had touched to wiring on February and repotting on March. Growing goooood☆　Makes me happy!! 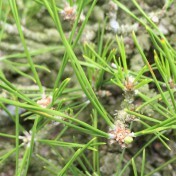 But, Now on Tosho season. Today, Around Daijuen goes to 31℃/87.8 °F. 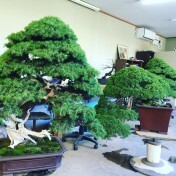 Its too hot for after trimmed Tosho. We made cover to protect to burning. Sensitive new buds. 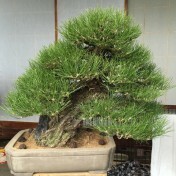 Oyakata sold this tree that I had touched on May. too hot. I had touched Okada Collection. 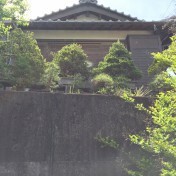 I had got day off and visited Aichien. 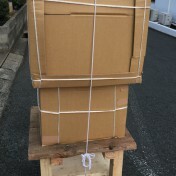 Aichien Collection Juan Andrade will be leave Japan soon. 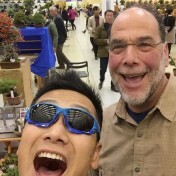 So we had party… Juan will be great bonsai master☆ for sure!! 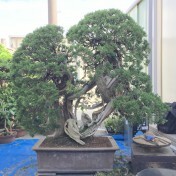 I had touched this Japanese maple to preparations Ryokufu exhibition. 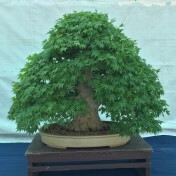 Maples are brachiate. I cut off just long one to show the trunk. Better? When Crazy was in Tugaru, Oyakata and Mamoru spray poison that germicide and pesticide. 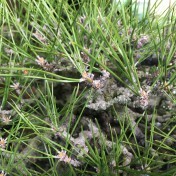 But, I found aphid on branch of Chojubai Chojubai is sensitive to poison. 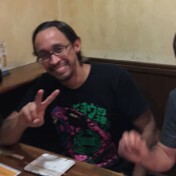 So Mamoru killed it by finger. 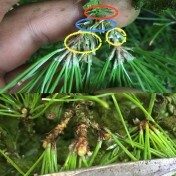 Thats youngest apprentice work☆ Also we removed flower and sucker. When blooming wisteria in the garden of Oyakata. 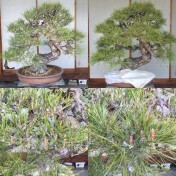 I removed old needles on this Japanese Red Pine. After Crazy New buds lookes red, dose’t it? Also flower too. 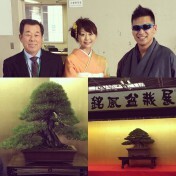 I’m very honored to touch tree. You can see some photo on Crazy Work. We left Daijuen at 5 am to go to Toyama. Great Collection dosen’t it? and great lunch too☆ 1st dish 2nd I didn’t take photo for 3rd. This is 4th dishes. Good food makes good work! I came here to repotting. But, I removed old needles nearly all day. 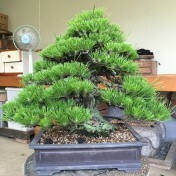 Oyakata repotted this Japanese Black Pine. Good food makes good works☆ This is Takuchan. Before Crazy 30th March fresh soil 30th March waiting new soil. 31st March Before Crazy 1st April Start at bottom. 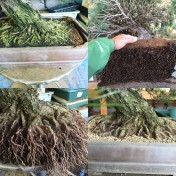 I cut many roots after removed old soil. clean up around trunk too. 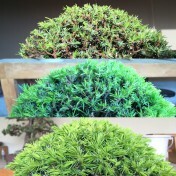 new soil I had ordered rewiring this shimpaku Juniper around May. 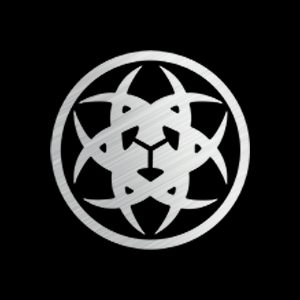 We move to Kawasaki city to work on Kojima Collection. 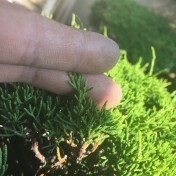 I had touched this monster pine. Monster？ I found around 30 worms in the pot. That worm eat root. That why nothing root in red circle. I removed old soil. and take off worm. 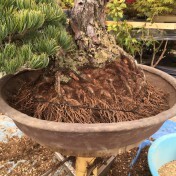 Good root on left side, worm eat root at middle and I don’t touch at right side yet. I potted new soil after removed every old soil and worms. Then I pray. 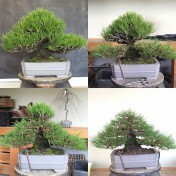 We had repotted around 10 trees. 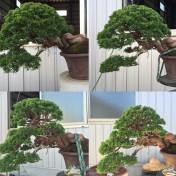 Bonsai looks better after repotting. But，My hands are so much rough. 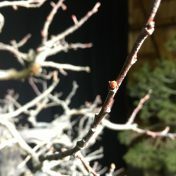 We go back to Kokufu-ten to bring back some trees and set up some trees for the second half of Kokufu exhibition. Thats enough for two cars. Normally you focus exhibition at Kokufu, right? 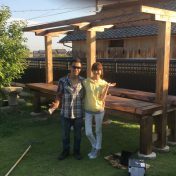 Here is photo when we set up Kokufu. 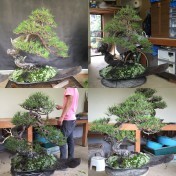 I had continued Daijuen apprenticeship last month. I pull needles everyday. So I didn’t much work on show trees. My mind keep venders tree. 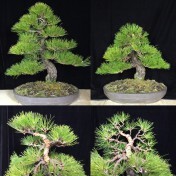 Because, I had touched big white pine for sale. 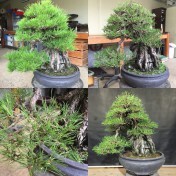 Somebody want to buy that tree? or nobody interest? I’m sure. I have mixed feeling in any case. 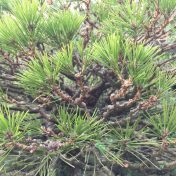 I bought black pine with aluminum wire. I planning Crazy Style after unwiring someones wire. 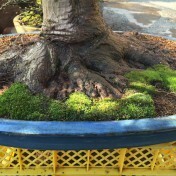 I want to remove trunk and some branches in blue circle. “Are you busy for Kokufu?” I received mail from Adam in Australia on beginning of 2013. That was just greeting mail on new year for us. 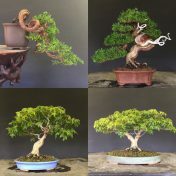 I had got off early Daijuen on today to ship bonsai. Very convenient if you ride a car. I’m having inconvenient life since I got doctor stop on 5 years ago. 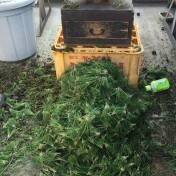 I took off from growing pot. This is the fast display corner of Meifu ten. 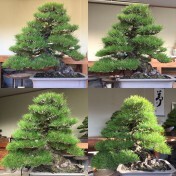 © 2016 BONSAI CRAZY. All Rights Reserved.